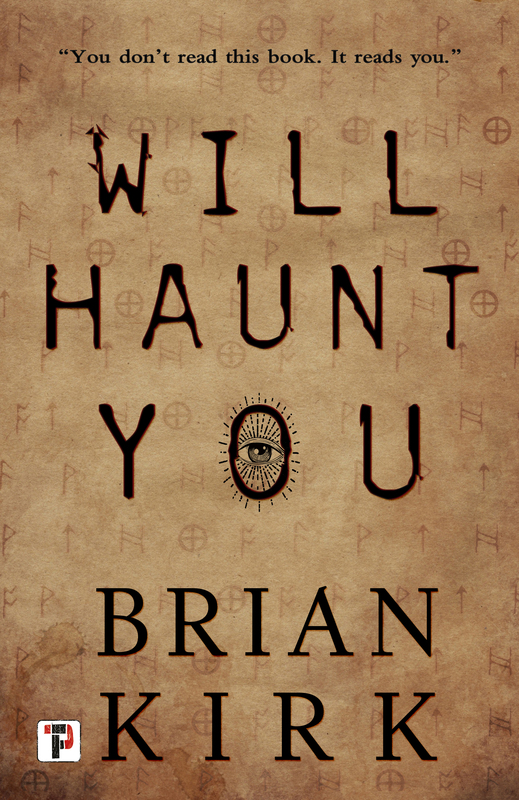 Today is the official release day for Will Haunt You, which is now available in all formats wherever fine (and fiendish) books are sold. My heart is full of gratitude for the following people who helped make this twisted dream a reality. While writing might be a lonely job, nobody creates a book alone. There is no way this book would exist without the unwavering support of my smart, funny, beautiful, wise, and loving wife, Anne, who happens to also be my first, and harshest, reader. Believe me when I say, I do not envy her this role. I could not be luckier to have the help of the following talented and insightful beta-readers who provide immeasurable improvements to my work, Lisa Mannetti, Stephanie M. Wytovich, Curt Mueller, and Desirina Boskovich. Any weaknesses in the story are a reflection on me, not them. Massive thanks to my kind, encouraging, and astute editor Don D’Auria, who often sees what I’m aiming for even better than myself. And to my publishing partner, Flame Tree Press, who has provided a fantastic platform for my work. I want to give a special thanks to my friend Todd Keisling, the author-and-artist extraordinaire who created the perfect cover for Will Haunt You in a pinch, and did a brilliant job designing the art for the companion story OBSIDEO. Check out his new design company, and put his talents to work for you. My novel was inspired by the story of a couple from my neighborhood who mysteriously disappeared after discovering a strange book in their home. 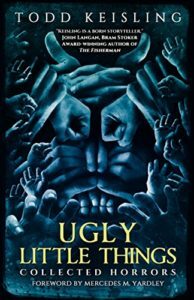 Sharing this bizarre story was among the most creatively-thrilling experiences of my life, and was made possible by the following passionate promoters of horror: InkHeist, Sci-Fi & Scary, Horror DNA, Char’s Horror Corner, Zakk’s Eyes of Madness, Nightworms, Kendall Reviews, and Ginger Nuts of Horror. Follow each of their sites for a steady stream of the industry’s best offerings. And my sincere thanks to all the early readers and reviewers who read and reviewed the advance copy of the book. It’s an odd tale, and it’s been interesting to see what different people take away from it. Thanks for being part of the story. Now, if you’re ready for the haunt, here’s where you can order your copy. Just be warned, once you open the book, there’s no going back. Rio Youers is the kind of writer I aspire to become. His ideas are original and ambitious, his sentences smooth, yet razor sharp, and his stories are all so emotionally powerful they can raise the price of Kleenex stock. I am both honored, and grateful, that Rio took the time to read my latest novel, and offer the following kind words. Most people learn about Rio Youers by way of his seminal novel Westlake Soul. It’s the kind of book you’ll never forget, and one that will make you a fan of his for life. That’s what it did to me. And while Rio might have set the bar high with that single novel, I’ve been equally delighted with everything he’s written since. 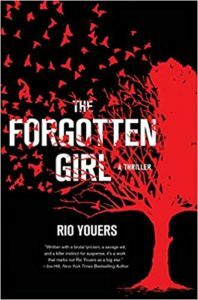 Rio’s novels are as enlightening as they are entertaining, as life-affirming as they are, at times, horrific. 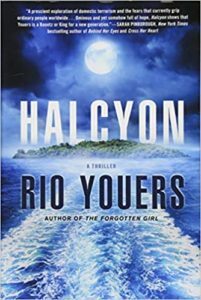 Hell, I get done with a Rio Youers novel, and I feel like I’ve spent some time on a therapist’s couch. Not bad for the price of a paperback, and a lot more fun. That’s a blurb a less skilled author might sell his soul for, whereas Rio earned it with heaps of talent and years of hard work. Read his books and you’ll agree with Mr. Straub’s glowing sentiments. Pick at random. You can’t go wrong. And if Rio’s endorsement intrigues you, you can order my novel Will Haunt You here. 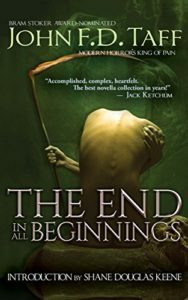 I read The End In All Beginnings by John F.D. Taff back in 2014 and became a fan of his for life. 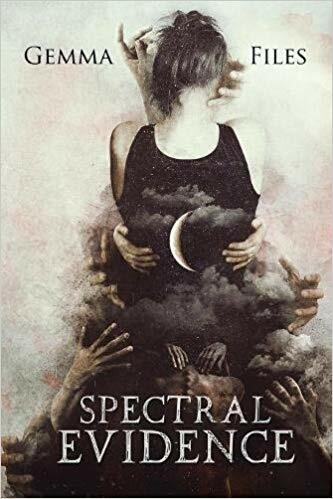 In fact, that collection, which would go on to become a finalist for the Bram Stoker Award, made such an impression on me I felt compelled to write an essay on it. And, no, I don’t normally make a habit of writing unpaid essays for fun. That’s how much that collection moved me. Words typically come easy, but not when expressing the strange twists of fate that have led to a time when an author whom I idolize as much as John F.D. Taff is not only reading my work, but actively endorsing it. We live in a strange and wondrous world. Following is what Taff had to say about my new novel Will Haunt You. John F.D. Taff isn’t only an exceptional writer, he’s one of the kindest, most supportive people you could ever hope to meet. 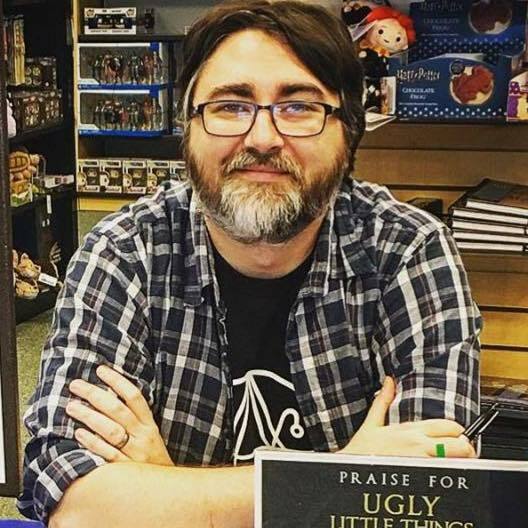 Quick story, my first book signing ever was at a table across from his at the World Horror convention. This was for my debut novel We Are Monsters, which hadn’t even hit the shelves yet, so nobody knew anything about me or the book at that time. John strolled over near the end of my hour and asked to buy a signed copy of my book. I offered him a free copy, but he insisted on paying. “I’ll let you know what I think,” he said before returning to his table, which I appreciated, but figured was just a polite thing to say. Then, a month later, I get a note from him saying he really enjoyed the book and would be glad to provide a blurb if I was interested. INTERESTED?! I’m still recovering from those shock waves. While John F.D. Taff might be a lovely person, he’s a fearsome writer. Readers have termed him ‘The King of Pain’, and for good reason. He will hurt you. But not with malicious or gratuitous intent. The pain his stories inflict are born of growth, rooted in hard-earned human truths that are exquisite in their power and transformative force. 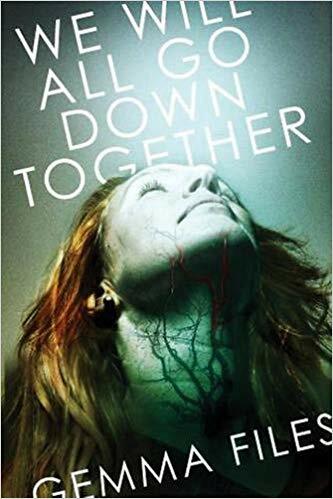 Just as death makes life sweeter, Taff’s horrors make everyday experiences more profound. You really can’t got wrong with anything Taff writes. Put a blindfold on and pick at random and you’ll be right every time. Both of his collections, The End In All Beginnings and Little Black Spots, have earned critical praise, and provide a rich and diverse sampling of his ranging imagination. If you’re like me, and like to get lost in a sprawling epic, keep your eyes peeled for his forthcoming novel The Fearing. This novel is his magnum opus on horror. 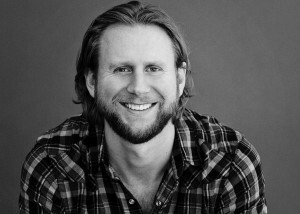 As if my personal narrative with John Taff couldn’t get more surprising and entangled, I am honored to announce that we are currently collaborating on a intricate and epic novel whereby we aim to engage in a type of literary warfare with one another by way of the characters we create. Like I said, we live in a strange and wondrous world. I can’t wait to see where it all winds up. 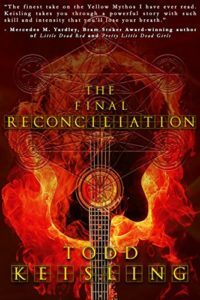 And if you’re in the mood for a “trippy piece of rock-and-roll-fueled occult meta-fiction proving that love sometimes is terrifyingly difficult to attain,” click here to preorder my novel. It’s due out March 14th. 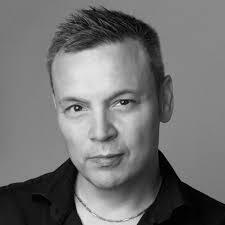 Russell James is an expert at tackling the darker aspects of the human psyche. 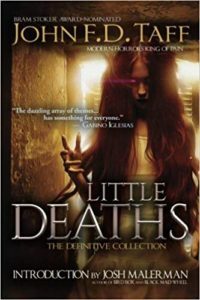 He explored the dark potential of dreams in his novel Dreamwalker, how quickly we can succumb to hysteria in Q Island, and now he takes on one of my personal macabre obsessions, the evil impulses that drive human predators to kill. Russell is here today to share examples of these pathological murderers to prepare readers for what they can expect when they venture into the terrifying world of his newest novel, The Playing Card Killer. If you aren’t already familiar with the work of Todd Keisling, just wait. You will be. 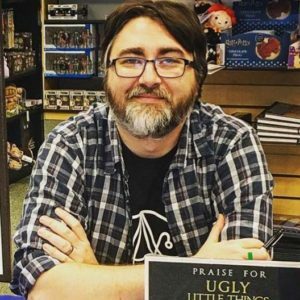 Todd is the consummate craftsman, a talented writer who continues to hone his skill, thinking carefully and seriously about each piece before exploding with malicious intent onto the page. 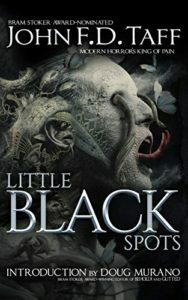 His fiction is dark and menacing, and tends to explore the enigmatic depths of cosmic horror. 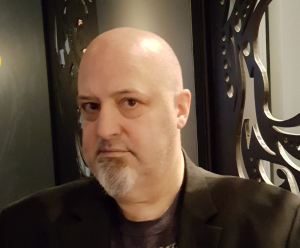 His latest works include his collection, Ugly Little Things: Collected Horrors, his critically-acclaimed novella The Final Reconciliation, and recent chapbook The Smiling Factory. Stay tuned for what Todd has coming up next. I had the pleasure of reading his next novel Devil’s Creek, and it’s a colossal piece of small town terror that is going to earn him the reputation of being one of the best authors of cosmic horror working today. 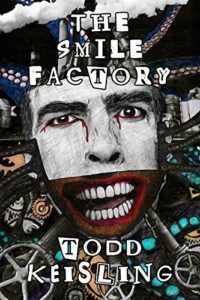 Whether it’s a short story, or sweeping epic like Devil’s Creek, you’re to love Todd’s work, so grab one of his books today. 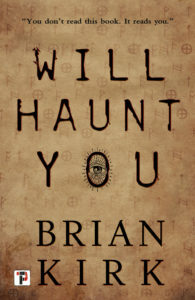 And if his endorsement intrigues you, you can learn more about Will Haunt You here, where it’s available for pre-order. I often wish there were more people like Stephanie M. Wytovich in this world. But, to be honest, I don’t think the world could handle it. The sun would supernova the instant two such humans inhabited the same timeline. In fact, maybe that’s what causes supernovas to occur. Stephanie M. Wytovich incarnates twice in the same lifetime and the whole universe explodes. Want to learn how to write a book in arterial blood? Read Wytovich. Want to hear a heart beating outside its ribcage? Read Wytovich. Want to see raw, brutal honesty encoded in gilded words? Read Wytovich. She’s among the most talented, and critically acclaimed, dark poets working today. Her creations will wreck you, however, so don’t come lightly to anything bearing her name. 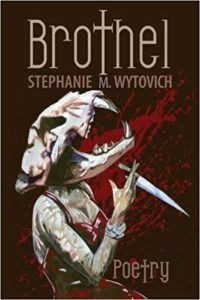 Stephanie won a Bram Stoker Award for her poetry collection Brothel, and has been nominated for just about everything she’s published. 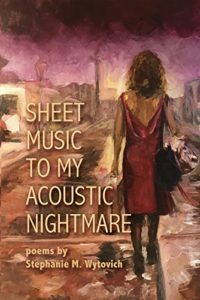 Her latest collection Sheet Music to My Acoustic Nightmare is among the most affecting books I’ve ever read, and I mean that. It took me a while to recover from it. 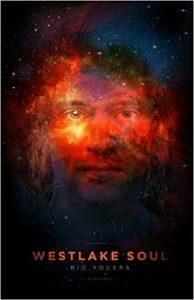 Prefer prose fiction? She does that, too. 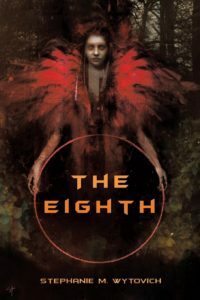 Her debut novel The Eighth is exceptional. I hope you’ll read her work. And if you want to learn more about my novel she endorsed, it’s now available for pre-order on Amazon and through other online booksellers. 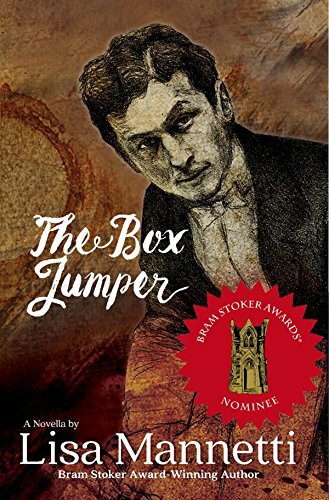 What do you get when you mix Peter Straub and Joyce Carol Oates together in a literary cauldron? Hell if I know. But if you like those two authors, you’re sure to love Lisa Mannetti. Her work is just as rich, just as layered, nuanced, and intricate as any author known for writing, what is often called, literary horror. Lisa’s work is equally intelligent and engrossing. As thought-provoking as it is horrifying. You learn something new while reading a Mannetti story, right before she yanks your heart out and sets it on fire. 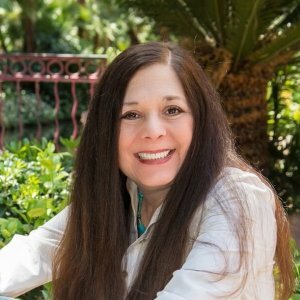 You want to read Lisa Mannetti? You better come prepared. Lisa’s debut novel The Gentling Box won the coveted Bram Stoker Award for Superior Achievement in a First Novel, and she recently won the award again for her short story, “Apocalypse Then.” Her brilliant novella The Box Jumper was nominated for both a Bram Stoker Award and a Shirley Jackson Award, and won the “novella of the year” award from This Is Horror. 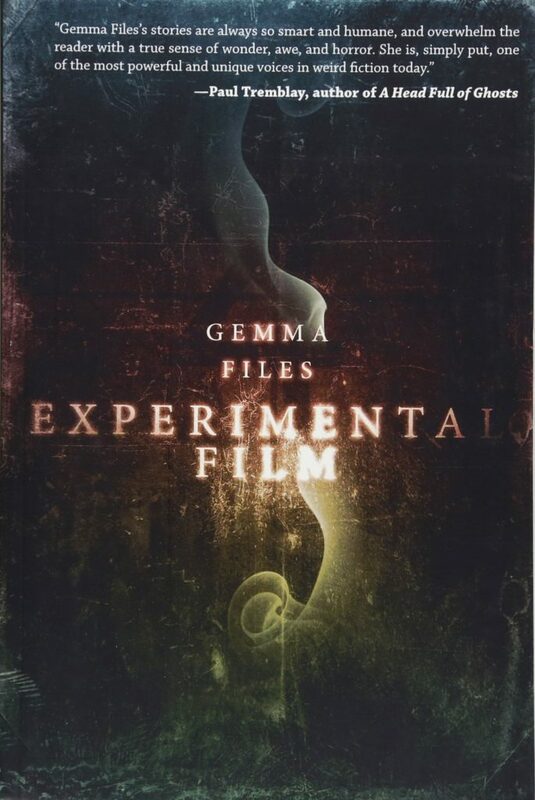 Her fiction appeals to fans of literary horror with occult and gothic undertones. She’s clever, witty, and ruthless. Wait until you get a load of her work. It’s my sincere pleasure to welcome fellow Flame Tree Press author Catherine Cavendish to my website today, with the frightening tale of a haunted castle that has claimed the life of at least one. 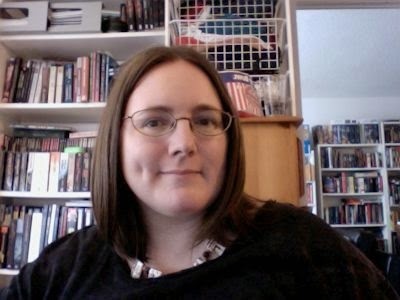 Readers who enjoy gothic ghost stories will love Cat’s work. She’s among the best out there. This is a story I’ve never shared before, but feel compelled to do so now. 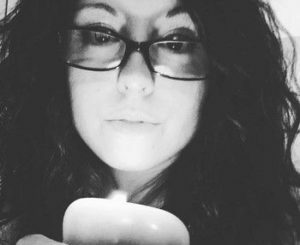 My upcoming novel Will Haunt You was inspired by a couple from my neighborhood who disappeared after discovering a strange book in their home. 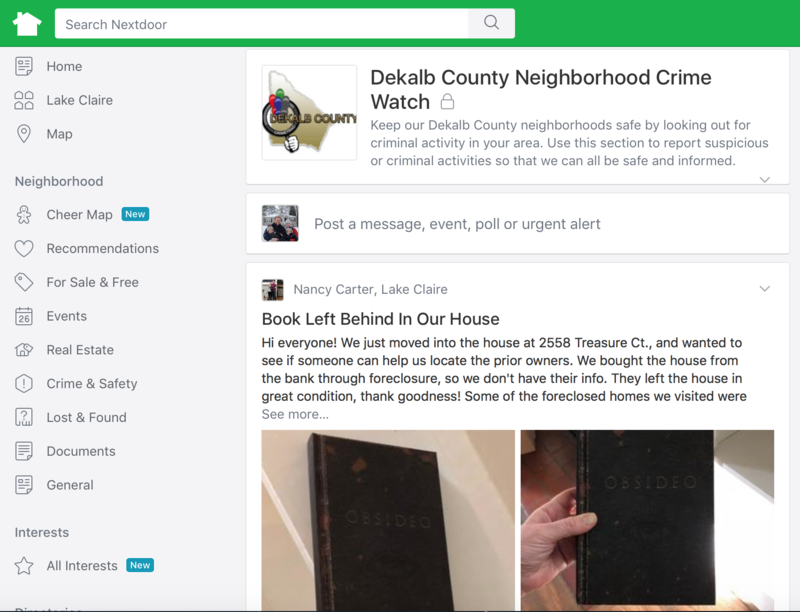 My neighbor’s name is Nancy Carter, and she chronicled her ordeal on a crime watch page within the community website Nextdoor(dot)com. I managed to capture screen grabs of the ordeal as it unfolded. To say that I was mesmerized by this story is an understatement. I was obsessed with it. Following along every post, and trying my best to figure out who was behind it. The first entry is posted below. It grabbed my attention immediately. There was something familiar about that book, although I had never seen it before.